The serpentine belt tensioner applies pressure to the serpentine belt, maintaining ideal tension to drive the accessories like the alternator and A/C compressor. 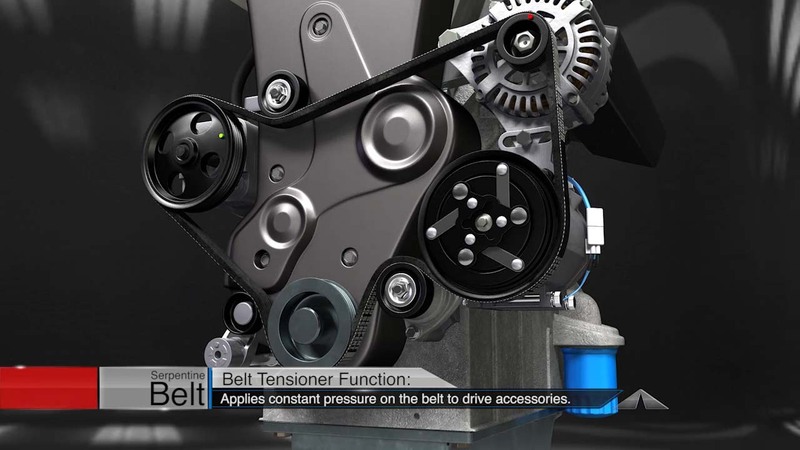 The service life of the belt tensioner is the same as the belt itself, so they should always be replaced together. A worn tensioner inhibits the accessories from spinning properly, leading to premature wear and noise. Your auto maker has a recommended mileage interval for serpentine belt replacement. A complete accessory drive system service replaces the serpentine belt, the belt tensioner and any idler pulleys your automobile might have. Your Honest Massengill’s Auto Service, Inc.. tech can inspect your system and let you know if it’s time for a replacement.